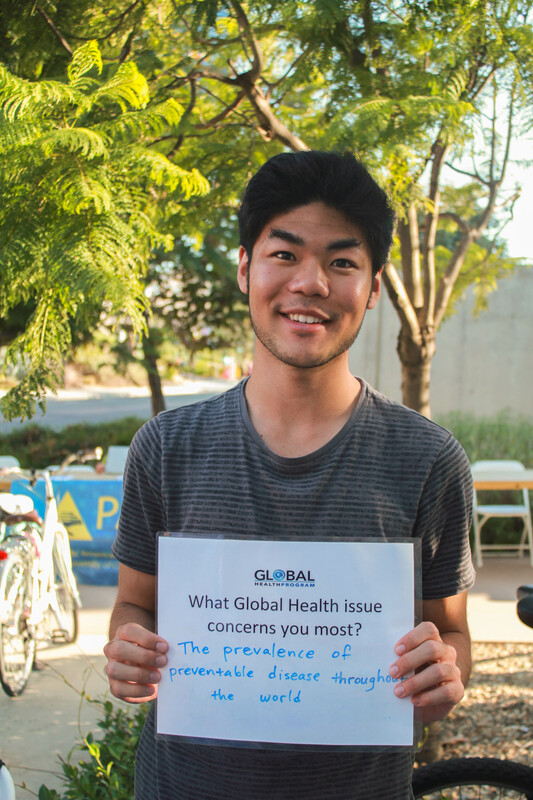 As the new academic year begins, UCSD proves that students who care about pressing Global Health issues are not lacking on this campus. 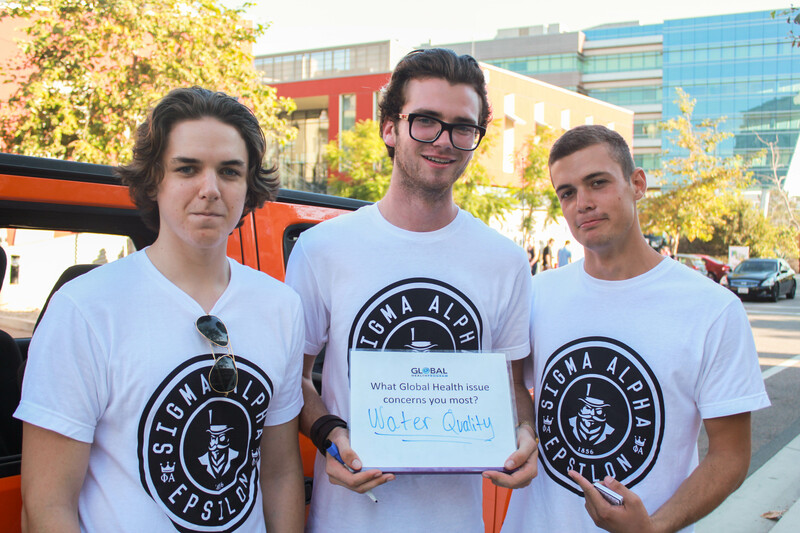 The Students For Global Health student-run organization stopped by the Village block party and found an abundance of new transfers and returning undergrads passionate about the Global Health issues that face our world today. Water Quality: California may be currently feeling the effects of a drought such as the lack of water or rising utility bills, but many areas of the world lack basics water sanitation. Recent studies suggest that over 750 million people lack access to safe drinking water, about one in nine people. Inadequate drinking water is an important issue in Global Health, one that leads many other problems including a lack of hygiene and the spread of preventable diseases. Preventable Diseases: Many of the diseases that are endemic to certain regions in the world are preventable or can be treated through certain pharmaceutical drugs. There is often inequity in how these diseases get treated in different regions of the world. Between and within countries there is evidence that those in higher socio-economic classes have better access to health care. Global health is concerned with lowering the rates of preventable diseases in the world, whether through better access to essential treatment or better public education about health issues. Maternal Health: Childbirth should be a cause of celebration, but for many mothers in rural or low-income areas of the world, pregnancy can lead to many preventable complications. Although worldwide maternal morality has dropped by almost 50% from 1990 to 2013, improvement in the access to skilled care during and after pregnancy is still necessary and an important topic in global health. Cancer: Rising rates of cancer in the United States and around the world are cause for concern. Educating the public about healthy practices that can help prevent cancer and improving the treatment for cancer worldwide are critical in global health. 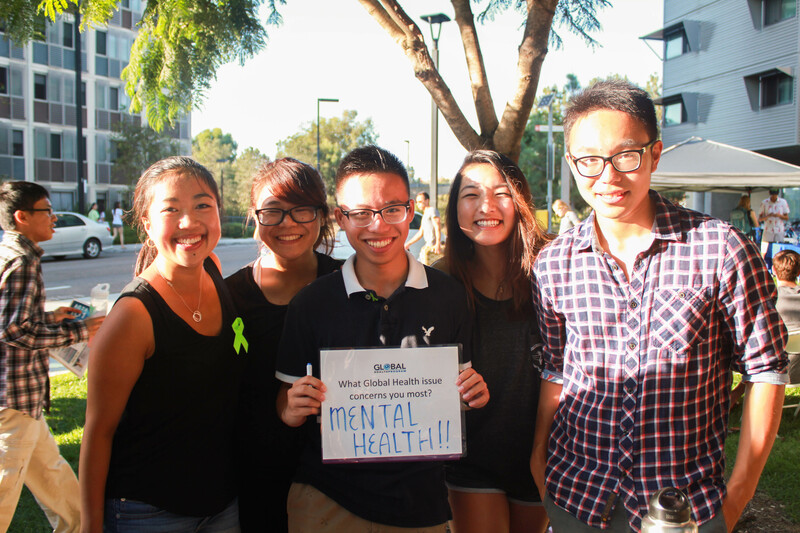 Mental Health: Mental Health problems are a very common and often overlooked issue in the sphere of health. Although the effects of mental disorders may not present themselves in the same way as traditional health issues, it is important to treat those with mental health problems with dignity and respect. With World Mental Health day rapidly approaching on October 10th, it is important to be mindful barriers that mental wellbeing faces such as lack of public exposure, and lack of resources to treat mental health disorders in low-income or rural areas of the world. HIV/AIDS: HIV and AID S have historically been one of public and global health most significant challenges, with approximately 37 million people in the world living with HIV/AIDS in 2014. Global health concerns about HIV/AIDS range from preventative measures such as education programs to issues with the treatment of AIDS and the unequal access to the pharmaceuticals necessary to treat the disease and stop the reproduction of HIV cells in the body. 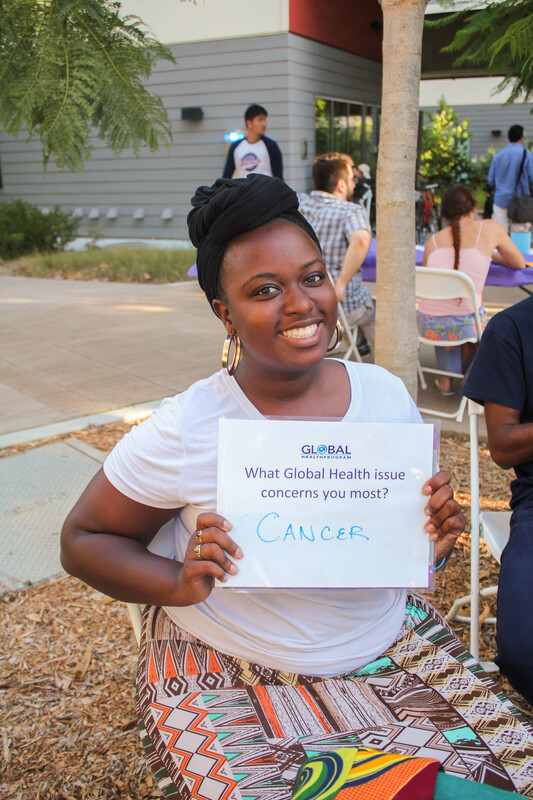 Global health covers a wide range of health issues all around the world and offers a multidisciplinary approach to solving these issues. With the vast scope of global health, it is easy to find a way to contribute with what you are passionate about. 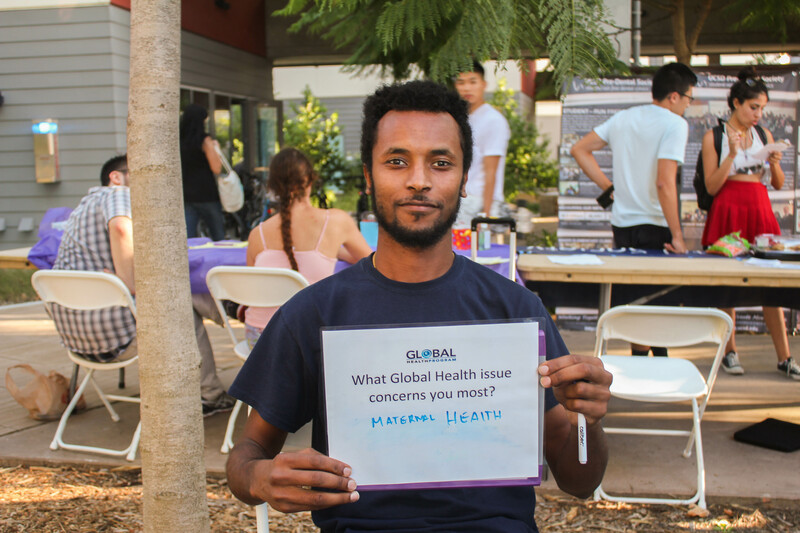 If you are interested in any of these issues or any others, check out the Global Health Department at UCSD, or join in the conversation with Students 4 Global Health. 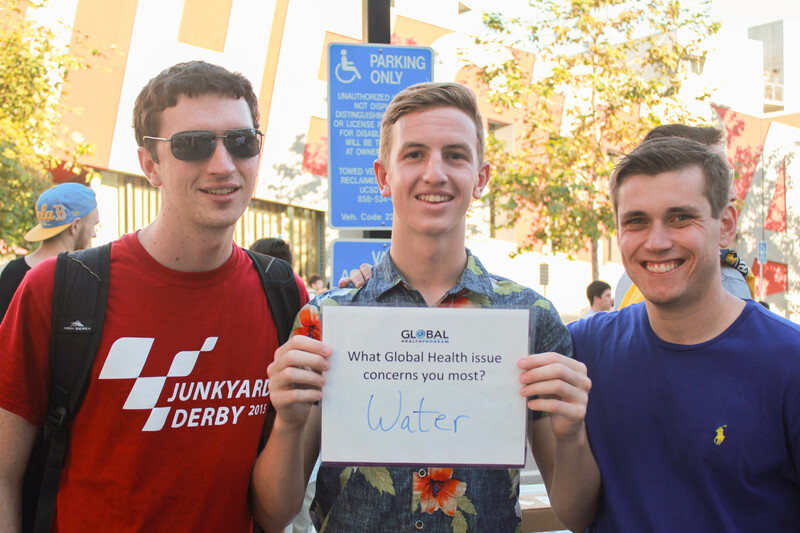 Students 4 Global Health will have their first GBM next week on Tuesday, October 6th at 6:30 p.m. in Liebow Auditorium. They will also be hosting Quarterly Conversations in Global Health, starting November 16th in the Great Hall at UCSD with a discussion of the current state of the struggle against HIV and AIDS worldwide.